CHRISTUS Mother Frances Hospital – Sulphur Springs-Since the opening of the cardiac cath lab at CHRISTUS Mother Frances Hospital – Sulphur Springs in 2009, patients in Sulphur Springs, Emory, Hopkins County and the surrounding areas have access to a state-of-art cardiac cath lab that provides diagnostics, imaging and treatments for heart patients close to home. Through a partnership with the trusted providers of Advanced Heart Care, the patients of CHRISTUS Mother Frances Hospital – Sulphur Springs are able to receive world-class treatment in their own community without the need to travel to Tyler or the Metroplex to access advanced cardiac care. The interventional cath lab is fully equipped to perform balloon, stent and pacemaker procedures for heart patients, as well as completing electrophysiological studies and treating patients with peripheral vascular disease (PVD). These onsite services dramatically reduce the need for patients to travel outside the area to receive high quality cardiovascular care. In 2016 alone, the distinguished heart care medical staff at CHRISTUS Mother Frances Hospital – Sulphur Springs have provided services to more than 600 patients. Cardiac catheterization procedures, including diagnostic tests for coronary artery disease, angioplasty and stents as well as 24/7 STEMI coverage for our Heart Attack patients. In addition to the state-of-the-art facilities and treatments available to patients at CHRISTUS Mother Frances Hospital – Sulphur Springs, health care professionals and first responders work together to exceed industry goals while providing rapid response to cardiac emergencies in the community. Hopkins County EMS recently received the American Heart Association’s Mission: Lifeline® EMS Gold Plus Award for the second year in a row for implementing quality improvement measures for the treatment of patients who experience severe heart attacks. 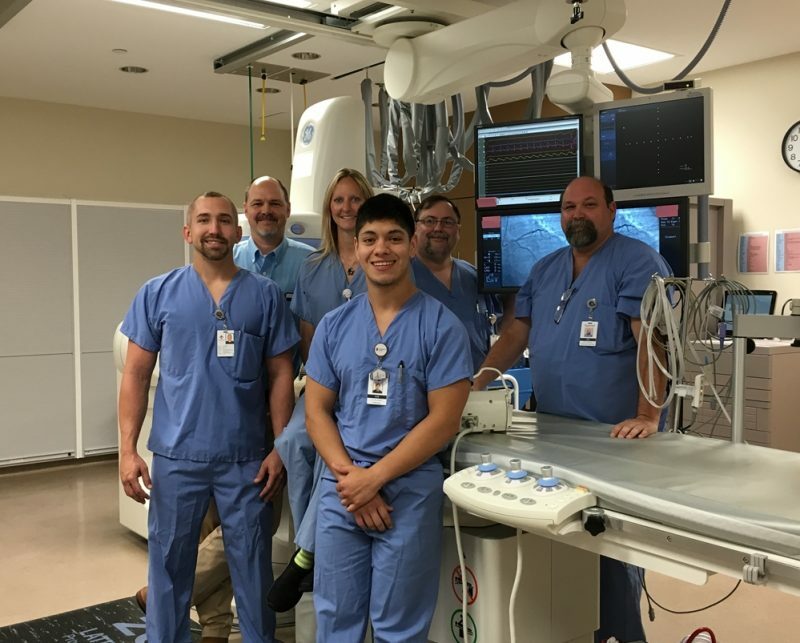 “The city of Sulphur Springs and surrounding counties can also take pride and find comfort in the fact that EMS personnel, the Emergency Care Center and the Cath Lab teams work together to accomplish and even exceed National Standards set by the American Heart Association.” said Nolan Willis, Director of Cardiac Cath Lab. CHRISTUS Mother Frances Hospital – Sulphur Springs’ approach to heart care incorporates the latest technologies and processes, while also including healing concepts and patient-centered features that involve the family along with medical staff to help ensure the best possible outcomes for patients.